I pulled this title from Net Galley a while back as I’m a sucker for a supernatural story! In WHEN, Maddie Flynn is a typical teenager who has the unique ability to see dates on people’s foreheads. She comes to realize that what she is seeing is their “death date” – the day they will die. As Maddie grows, her somewhat destitute mother sets up shop to make quick money with Maddie seeing clients to tell them their (or a loved one in a picture) death dates. Unfortunately, Maddie’s predicting gets her in trouble when she predicts a child’s death and that seemingly fine child soon comes up missing. She and her best friend find themselves caught up in the police investigation of the missing boy and several others. With the police more than skeptical of her abilities and no other real suspects, Maddie has to solve the mystery before time runs out. I really liked this book! Maddie was an interesting and strong character, and I found the whole concept of seeing death dates on people’s foreheads as a unique and clever twist. I would have loved this book as a teenager! 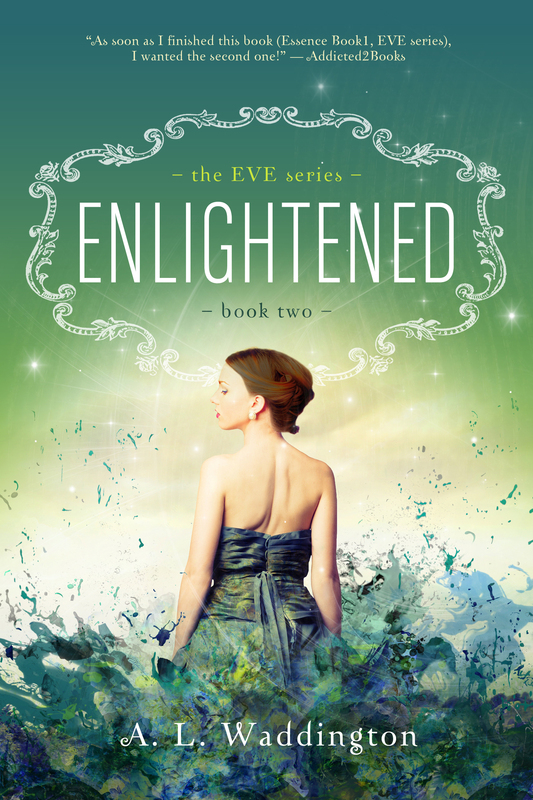 I’m happy today to be part of the blog tour through Booktrope for ENLIGHTENED, Book 2 of the E.V.E. series, written by A.L. Waddington. In Book 2, Jocelyn is still struggling with completely understanding her life in the past (or parallel, if you will). She and Jackson express their love for each other and decide to marry after her high school graduation. Not surprisingly, this is met with a lot of consternation and concern from her parents, especially her mom and brother, and her friends. Jocelyn insists that she will continue on to college and just do it as a married woman. Much of the book is focused on the upset and angst she feels over this decision, her battle with her family, and then her upset with Jackson. A photo album from the past, found in her uncle’s things, also adds to her knowledge of the past. I enjoy reading this series and I know I would have liked it when I was in high school. That said, this book moved a bit slowly for me. Poor Jocelyn pretty much was miserable in both her lives. In her current 2009 life she was a lot more aware of her life in the past, which helped her to understand and not be quite so upset. I have to say, too, that I can understand her family’s distress over her announcing her marriage to a boy she’s hardly known for long. It wasn’t all that long ago that getting married at 18 or 19 was commonplace; however, by today’s standards, it is much more rare. In any case, Jocelyn struggles with her desires and her knowledge of her time travel (which her family doesn’t know about). I am reading the next installment now so that I can find out how Jocelyn ends up (and where!). Thanks, Booktrope, for making me a stop on your blog tour and for my copy! I just loved this Prep School Confidential series! DEADLY LITTLE SINS is the third and final book in the series. This time Anne Dowling is once again chasing mysteries and killers at her Massachusetts prep school. Picking up where the last book left off, Anne is attempting to find to out where her beloved teacher, Ms. Cross, has disappeared to. Naturally, her sleuthing takes her into danger and she has to face the fact that Ms. Cross might not have been exactly who she said she was (which of course begs the question: who was she and why was she at Wheatley?). Fast-paced and fun, with a tough heroine who is smart and clever, this series is one of my favorite, fun YA reads. Yes, you have to suspend belief a bit (it’s a story, people!) but somewhere in my travels I saw this series compared to the Gossip Girl books. Um, no. Those books deal with some over the top, ridiculously nasty teens in NYC. They paint the “rich kids as evil” picture in bright colors, and the adults are all but nonexistent. While I can see why some teens love them, this book is more of the Veronica Mars variety. Anne is not a nasty person and her friends aren’t either. Yes, these kids are wealthy, but they are also (wait for it — ) normal. As someone who has spent 25 years teaching in schools like Wheatley, I think Kara Taylor does a good job in portraying teens accurately. I thought I also saw that this would be made into a movie, but maybe I imagined that as I couldn’t find that info again. That would be fun, though! I got mine on Amazon (as I must have been whistling in the wind and missed it on Net Galley). Hello! I’m happy today to be part of HFVB tour’s A LITTLE WICKED blog tour, hosting Janet Macreery’s YA novel about a young, resilient Scottish girl in the 1600’s. In A LITTLE WICKED, young Dory’s clan is murdered by a rival clan, and she is sent by her uncle to America. Dory first poses as a boy in order to get passage on a ship (where she works as the bird boy). Upon arriving in Massachusetts, she finds her uncle and aunt and joins their household – in Salem. It is 1692 and that is definitely NOT a year to be living in Salem, Massachusetts! Dory is drawn in to the hysteria over witchcraft. Will she have the wits to once again survive? I enjoyed reading this short and entertaining book. I loved the character of Dory, who was resourceful and strong and sensible. This poor girl had one tough time after another, yet she never gave up. I also liked the little twist at the end! Recommended for older elementary readers and middle school, it should also be engaging for reluctant readers. Thank you, Amy of HFVBT and Ms. Macreery, for my review copy! I purchased WICKED LITTLE SECRETS for my Kindle. In this story, Anne Dowling is back and getting into trouble again. She is determined to figure out what happened to a former Wheatley student who died in the 1980’s after she finds a picture of him in her deceased roommate’s belongings, with “they killed him” written on the back. Anne starts digging up old secrets, which unfortunately involve the parents of several of her friends and classmates, including the father of her boyfriend. Anne connects again with Isabella’s brother to help her figure out and solve the mystery of what happened all those years ago. Once again, Ms. Taylor has written a fast-paced and exciting story that keeps you guessing and keeps you laughing at Anne’s unique voice and pluckiness. I enjoy Taylor’s writing and pacing and I give her credit for making her stories believable. I also heard some chatter that a Prep School Confidential movie is in development. Hmmm…. I had heard some buzz about this book, so I ordered it from Amazon for my Kindle for when it was released earlier this month. This is the kind of book that people say, “I can’t talk about it without giving it away”. Okay – that’s true, but I can say this: this was one of those books that you start to read and can’t put down. I read it almost entirely straight through as I was trying to figure out what was going on. It’s memorable and heart-breaking and just really, really good – all at the same time. In WE WERE LIARS, Cadence Sinclair has grown up as the eldest grandchild of the wealthy and well-known Sinclair family. They spend their summers together on an island off the coast of Massachusetts. They play, they argue, they exist as a big sprawling family. Cadence spends her long summer days with her cousins Johnny and Mirren, and their friend Gat. Then one summer, while they are in their teens, things change. Decisions are made and actions follow which have devastating consequences. Loved loved loved this book. I’d suggest it for older teens (and adults – if you read YA, and you should!). I chose this paranormal YA romance from Net Galley because, ever since middle school, I am a sucker for books that take place in boarding schools! THE UNSEEMLY EDUCATION OF ANNE MERCHANT is the first in a trilogy (wish I had known this going in to it as the ending disappointed me due to lack of resolution!). Undertaker’s daughter, Anne Merchant, is sent from her humble home in a very wealthy area of California to an island off Maine to the elite Cania Christie boarding school. Right away she notices that everyone there is almost creepily perfect, and they all are bent on an almost ridiculous race to become valedictorian. Anne soon realizes that nothing is as it seems, that valedictorian means much more than grades, and that getting in to Cania Christie is so difficult and expensive, well let’s just say that people are dying to get in! I can’t say too much more without giving it all away, but Anne works with new friends to explore and understand the mysteries of the school and the island (and villagers) where they live. The more she finds out, the more terrifying it all becomes. Add in some romance, teen angst, and conflict and you have fun (older – due to sexual content) YA fare. 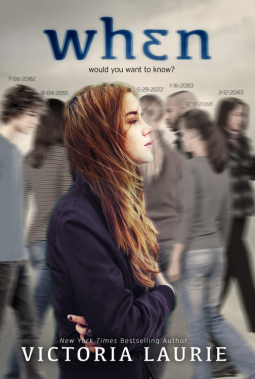 I can see this book as a movie – sort of Twilight meets Hunger Games. You can see this book on Amazon where I am an Associate, and thanks, Net Galley and BenBella Books for my copy! Just out this week, I got this fun YA read from Net Galley. BEING SLOANE JACOBS is the story of two girls – both named Sloane Jacobs – who switch places one summer at the respective summer camps. Sloane Emily is a wealthy senator’s daughter, bored with her life under the microscope and her power focused parents. She is an expert ice skater who has had some recent issues with confidence, and is headed to Canada for skating camp. Sloane Devon is a tough hockey player from Philly who is sent to camp as a community service due to her bad attitude. Both girls start off hating each other (sort of like Parent Trap!) when they meet at a hotel, but realize that they are similar enough in looks that they could pass for each other; then decide to take a break from their respective lives and “try on” the other’s existence. I really enjoyed this story – it was light and funny and had a little romance built in. I would have loved this book when I was in middle school. At the end of the day the two themes ring true: “don’t judge a person until you walk a mile in the shoes” , and “East or West, home is best.” I look forward to more from Ms. Morrill! Thanks, Net Galley and Delacorte Press, for my copy!